If you hate getting sand in your hair, we suggest ditching the beaches of Mangalore to check out the new art gallery in town, Kadri Rocks where art meets heritage. We know that you want to spend time belting ice cream from Pabba’s and hanging at the beaches in Mangalore (we love Ideal’s Gadbad). The city however now has a twist in its tale that breaks all notions of being a beach town. To give credit where it’s due, the owner of Kadri Rocks is an artist who converted his century-old heritage house on Kadri Kambla Road into the gallery to portray his love for art. After a four year haul of renovating the place, the gallery is finally ready to welcome the public and patrons of art. Dedicating monthly screenings to only select artists, they currently have on show art by Ganesh Somayaji, Dinesh Holla and Sapna Noronha (local artists from Mangalore) and plan on hosting a tribal weavers exhibition at the end of the month. The premises is of course, eye candy itself! Not only is the green lush lawn dotted with a brick road, but also has a lovely natural pond and a wooden bridge that will make your photos Instagram worthy. 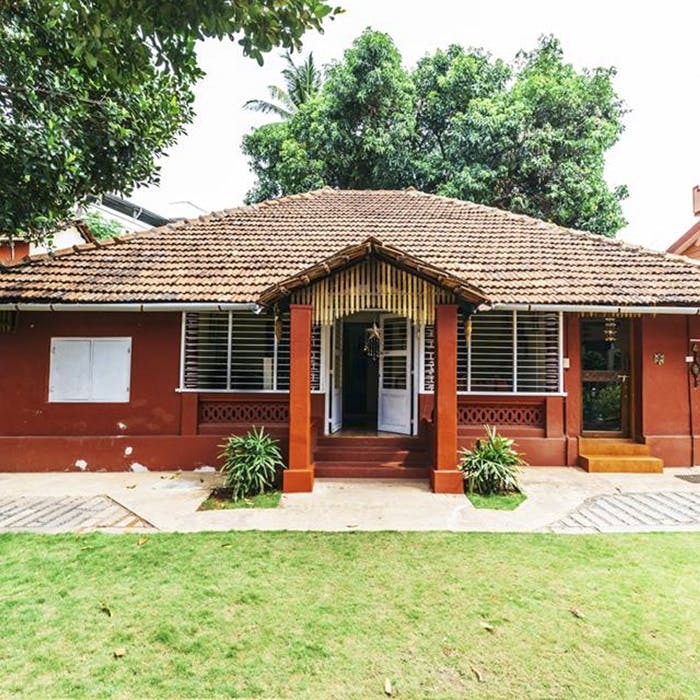 Filled with vintage furniture, the gallery space is an old house with red tiled roofing and pillars at the front door, reminiscent of an ancestral home. We love that it is Mangalore’s new cultural hub since the space will also be given out for events like book launches and workshops (at a minimal fee, of course!). Gaining its name from the fact that there are boulders and large rocks around the property due to its old and rugged nature, it is harmonious with its tagline “Where Art And Heritage Meet”. They give out the gallery for photo shoots as well. So in case you’re looking for an offbeat space to click your newborn child or for a romantic pre-marital shoot, a quiet trip away from Bangalore might just do the trick.